During the initial consultation I will take a medical history in order to understand your unique physical profile and lifestyle. You will generally be asked about your current symptoms, medical history, any medication taken, diet, digestive system, sleeping patterns and emotional state. I will also take your pulse on both wrists and look at your tongue, as these give extra information about the state of your energy, and palpate for areas of muscular tension or pain. Following diagnosis I will put together your personalised treatment plan which may include lifestyle and dietary advice. Because energy meridians cover the whole body, the points used are not always close to where you experience pain or discomfort. 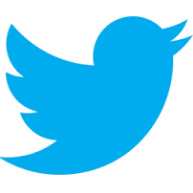 For example, if you suffer from headaches needles might also be inserted in your foot or hand. 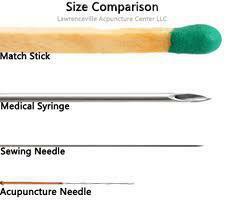 The amount of needles used, varies from patient to patient and treatment to treatment. As a general rule, however, the first treatment will usually be more gentle and involve less needles. Both initial consultation and follow-up appointments take 1 hour. Acupuncture needles are inserted at points selected to affect your whole body, as well as your symptoms, and you will be left to rest for a while before they are removed. 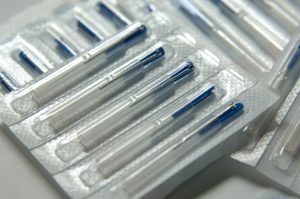 The single-use sterile needles come in sealed packs that should be opened in front of you and are safely disposed of after each treatment. Acupuncture needles are very fine: the sensation of insertion differs completely from this of an injection needle and isn’t painful. Most people describe a ‘tingling sensation’, a ‘warmth’ or sometimes a ‘dull ache’. Most people find acupuncture relaxing and often feel very calm after a treatment. You may feel tired or sleepy and should take this into account planning the rest of the day. Acupuncture has very few side effects and any that do occur are usually mild and self-correcting. On rare occasions, a needle can leave a little bruise-type mark. Cupping can also sometimes temporarily mark the skin. Such bruising is painless and generally clears within a day or two. This depends on various factors, including the nature of the condition, how chronic it is and how you in particular react to acupuncture. As a general, but very rough, rule, you should see a difference within about 5 treatments, starting at weekly treatments which can be spread further apart once beneficial changes are becoming more consistent. Both frequency and estimation of duration of the treatment period will be discussed during the first appointment.